You are then set up for success with an easy-to-follow menu with predetermined portions. The work is now done, and all you have to do is commit to the plan and watch progress take place! This is a menu that both my clients and I have used personally for the most optimal results in term of shedding body fat, building muscle, toning/defining and an overall sense of well-being. The menu is designed in a “flexible dieting” style to make it easy for you to make meal substitutions. This is all explained with an in-depth FAQ you will receive with your package. I offer two menu options: one that consists of non-GMO meat substitutes (such as tofu, tempeh, seitan and so on) and an organic vegan protein supplement of your choosing (such as Sun Warrior and others along those lines); the second menu option is a 100% whole foods, plant-based menu without the use of meat substitutes, soy products and foods containing gluten. This menu utilizes foods like beans, lentils, quinoa, hemp-seeds and so on as protein sources. The menu that I will design for you will be based on your answers to the questionnaire that I send my clients following their purchase. These menus have been successfully utilized worldwide. 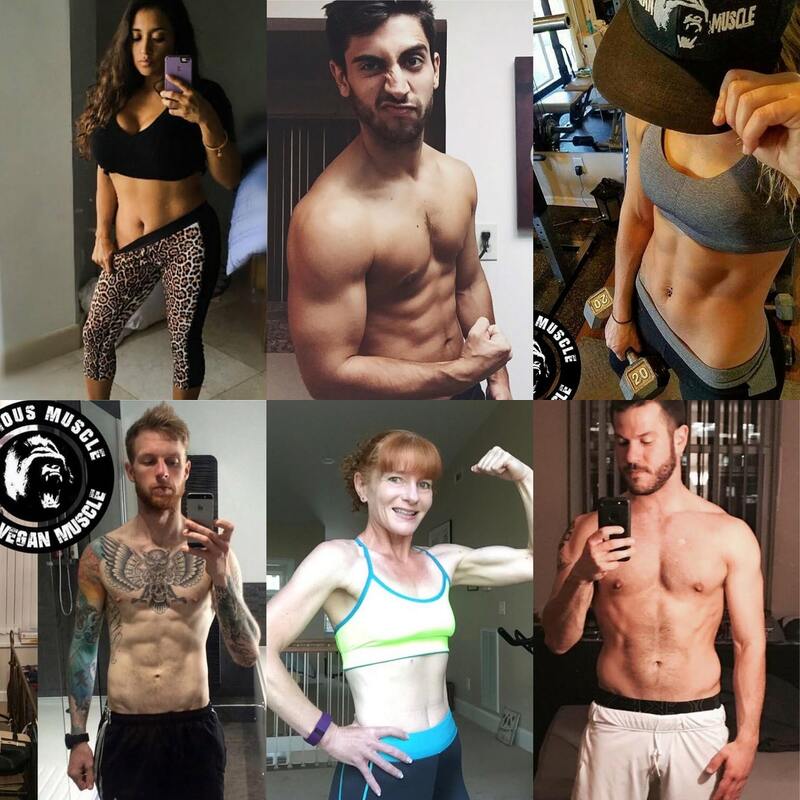 Your package will also come with an in-depth FAQ to answer questions you may have as well as access to an online searchable, in-depth FAQ and my Team Conscious Muscle private Facebook support group/forum. 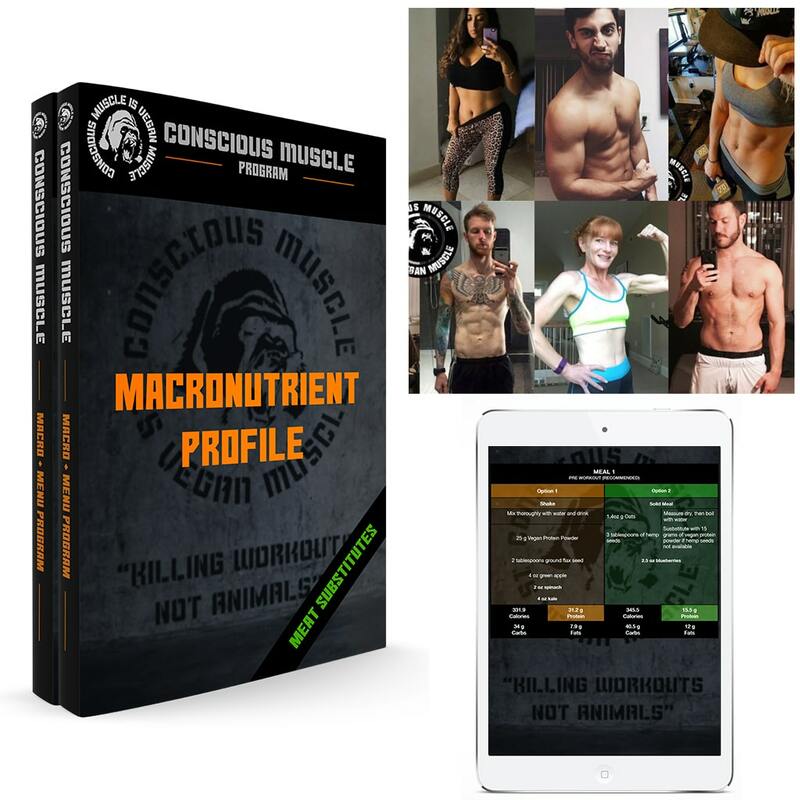 SPECIAL – With your Macro package you will now also receive a suggested supplement guide for optimal wellbeing/results.